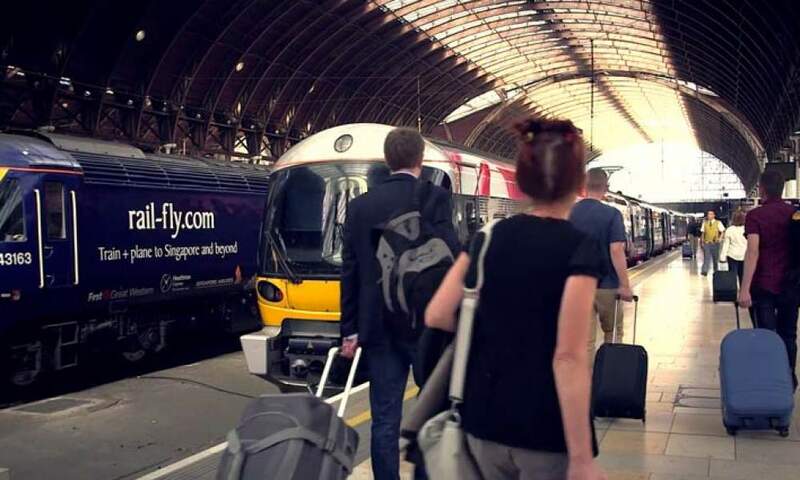 Singapore Airlines have partnered with Great Western Railway and Heathrow Express to offer customers a door-to-door service from 11 destinations in Southwest England and Wales with more than 90 Singapore Airlines destinations in over 30 countries around the world. Rail-Fly offers unique and competitive rail fares to London available 365 days a year while at the same time under the same booking arranging your transfer on the Heathrow Express as well as your onward journey on Singapore Airlines. Avoid last minute stress by getting all of your travel plans booked in advance. We work out everything for you when you book your Rail-Fly ticket. The train times will automatically match with your flight times and vice-versa and you can also choose your class of travel on board our aircraft: Economy, Business, First and Suites (exclusively on board the A380). Also, with a Rail-Fly booking you are ensured to be looked after in the event that a delay causes a missed connection in either direction. Exclusive Fares – Singapore Airlines has partnered with Great Western Railway and Heathrow Express to offer completely unique Rail Fares to customers. The fares are available all year round and are exclusive to Rail-Fly customers – allowing savings compared to purchasing each ticket separately. Simplicity – A journey that used to involve three separate bookings in three transactions with three different travel providers can now be handled in one booking, with one payment. Plan in advance – Avoid last minute stress by getting all of your travel plans booked in advance. With Rail-Fly we have worked out everything for you by showing you the best train times to connect with our flight. Better Connections – Spend less time waiting at the airport. With up to 68 rail connections per day you can choose when you want to travel. Increased Flexibility – The FlexiExpress and BusinessExpress tickets give you freedom to choose any train at any time. Choose when you want to travel. Leisure and business class travellers alike can take advantage of special fares, the ability to plan their train journeys in advance with Great Western Railway and Heathrow Express’s timetables, and even extend their trip with a London stopover for leisure or extra business meetings. Stopover in London – Why break your journey in an airport 20 miles from the nearest city? Choose Rail-Fly and you can break your journey in central London. Increase your productivity by attending an extra meeting or extend your holiday. KrisFlyer miles – Singapore Airlines’ frequent flyers can earn KrisFlyer miles on their complete journey, including Great Western Railway and Heathrow Express train journeys to London Heathrow.